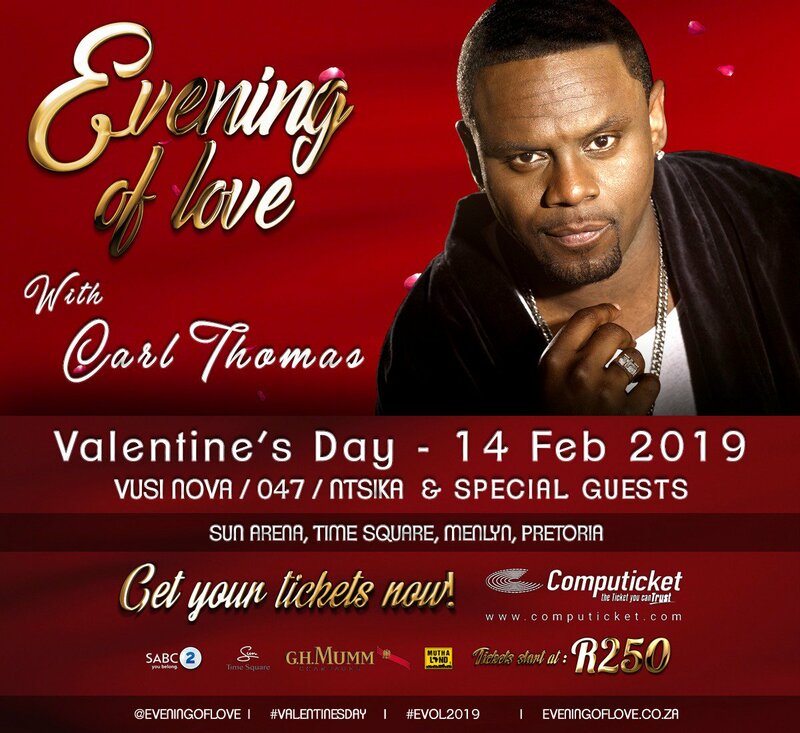 Just in time for the love month, American R&B singer Carl Thomas will be heading to South Africa this month. 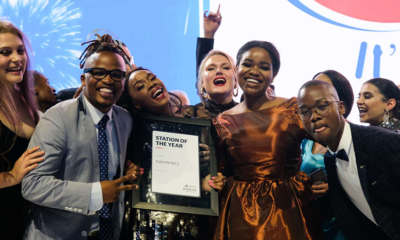 Dubbed the Evening of Love with Carl Thomas, the laid-back concert will take place on Thursday, 14 February 2019 at Sun Arena, Time Square in Menlyn. 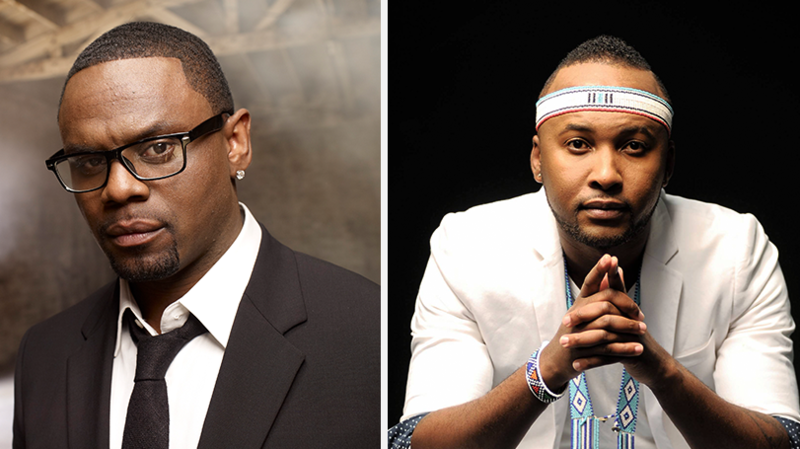 Local acts billed to perform alongside Carl Thomas includes Vusi Nova, 047, Ntsika (The Soil), Kelly Khumalo and more. Tickets are already on sale via Computicket ranging R250.00 to R1850.00. In the mid-’90s, Thomas relocated to Brooklyn, New York, and began playing open-mike nights and showcase gigs in hopes of making a name for himself as a solo artist. In 1997, Thomas was spotted at one such performance by Sean “Puffy” Combs (aka P Diddy and Puff Daddy), who liked what he heard and promptly signed the singer to his Bad Boy Entertainment label. 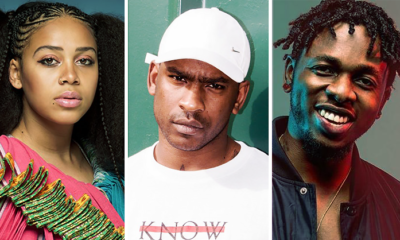 Initially, Thomas sang R&B-styled backups on sessions for hip-hop acts such as the Notorious B.I.G., the LOX, LL Cool J, N.O.R.E., and Puff Daddy, and it wasn’t until 2000 that Thomas’ first full-length album, Emotional, was released. 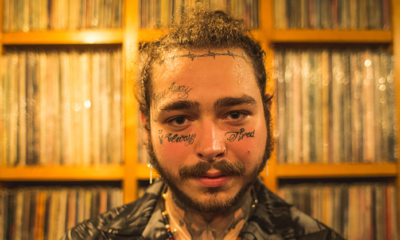 On the strength of the hit singles “I Wish” and “Summer Rain,” Emotional sold over a million copies, but it would be four years (marked by plenty of touring and many more guest spots on albums by others) before Thomas released his follow-up. The timing of 2004’s Let’s Talk About It proved unfortunate; Thomas’ brother died as the result of a drive-by shooting shortly before it came out, and the singer opted not to tour as he dealt with the emotional fallout, which compromised the album’s promotional campaign. In time, Thomas dissolved his relationship with Bad Boy, and he was briefly signed to Interscope, contributing vocals to “Dumpin’,” a track on the posthumous 2Pac album Pac’s Life, released in 2006. That same year, Thomas joined Yolanda Adams, Chaka Khan, and Gerald Levert to record the song “Everyday (Family Reunion)” for the movie Tyler Perry’s Madea’s Family Reunion; the performance earned a Grammy nomination. In 2007, Thomas’ third album, So Much Better, was released by the independent Umbrella label. In early 2011, Thomas signed a new deal with Verve Music, and his fourth album, Conquer, was released in December of that year. 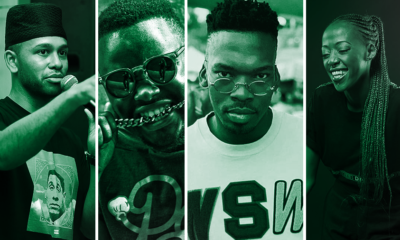 To headline this year's #CastleLiteUnlocks concert.